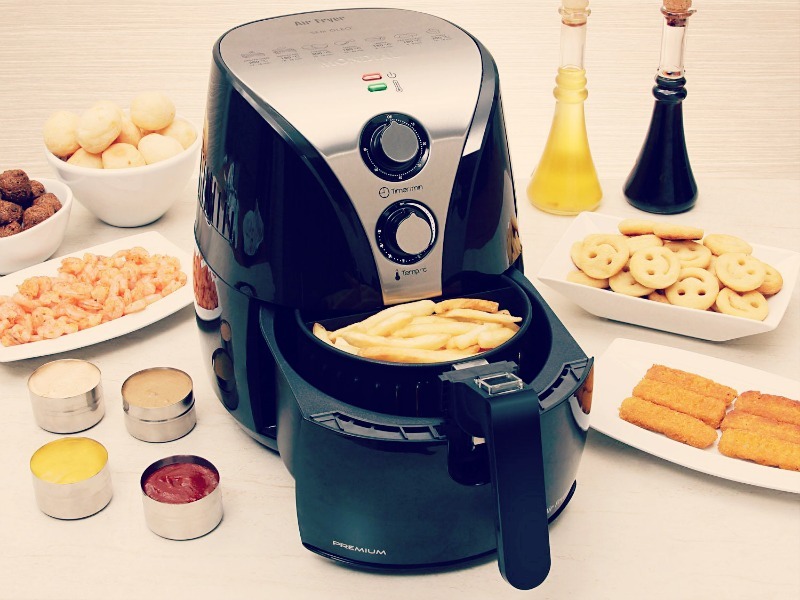 One of the most popular kitchen appliances for many homeowners is the deep fryer. The deep fryer provides a relatively easy way to prepare food. This cooking appliance is designed with a large tank where oil is poured, and a basket which holds the food. However, cooking with large amount of oil is considered as unhealthy. People normally enjoy deep fried French fries, mozzarella sticks, onion rings, chicken, and many other types of food. That’s because the food is very delicious when cooked in deep fryer. However, with the deep fryer the food is submerged into hot oil, making it more caloric and unhealthy. In fact, the main reason why so many people in Australia and worldwide are suffering from overweight, is because people prefer to eat deep fried food, or the so called fast food. One innovation in the field of kitchen appliances that is becoming highly poplar is the air fry cooker. An air fry cooker is a kitchen appliance that has a basket which holds the food (like the deep fryer). However, rather than dipping the food into hot oil, the air fry cooker uses a ‘Rapid Air Technology’ which allows hot air to circulate very rapidly around the food in the basket, heating up the food from all sides at once. Although the results are not exactly the same, this is a healthier way to prepare your favorite food. French fries prepared with air fry cooker contain up to 80% less of fat when compared to French fries prepared in a conventional deep frier. With air fry cooker you can easily prepare you favorite food in a practical and fast way, without all the grease mess in your kitchen. Furthermore, the air fry cooker saves you time and money, since you don’t need to buy large amounts of oil for cooking. Probably the best thing about the air fry cooker, is that the parts of this kitchen appliance can be safely and easily cleaned once the food is prepared. Food prepared in the air fry cooker is deliciously crispy on the outside, without being dry on the inside. With the air fry cooker, making a fast yet healthy and tasty food couldn’t be easier! Visit your local store or check online for models and brands and choose the one that will best suit your needs.